So, you can understand why people won’t believe me when I tell them how much I make working from home. Eventually, they all get curious and then wants to know how much money they could make working from home. There’s no definite answer to how freelancers get paid or how much you can make as a freelancer. Because it depends on your field of work, the amount of experience you have, and the skills you’ve developed. So, instead of giving you a specific number. I will share a few success stories and some stats to give you an idea about how much freelancers make and to show you that making $5000+ a month is not impossible. 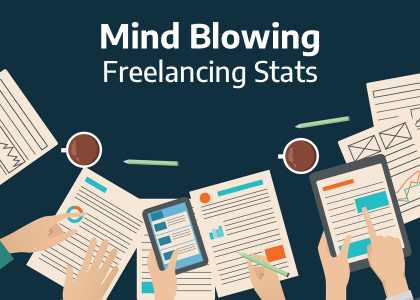 In May 2015, Contently did an interesting survey among 643 freelancers asking them 25 questions. The results were pretty exciting. According to the survey, 80% of the freelancers claimed to be writers with 8% being consultants and content strategists. 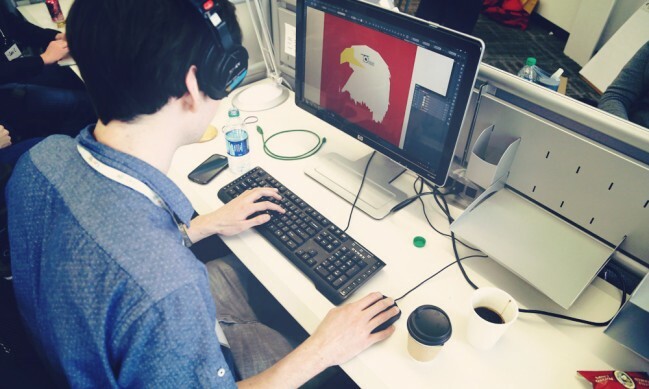 Only 10% accounted for freelance designers and videographers. Among all 643 freelancers, only 62.5% were working full time. Yet they were making quite a lot of money. What’s more amazing was the amount of work they had to do to earn it. 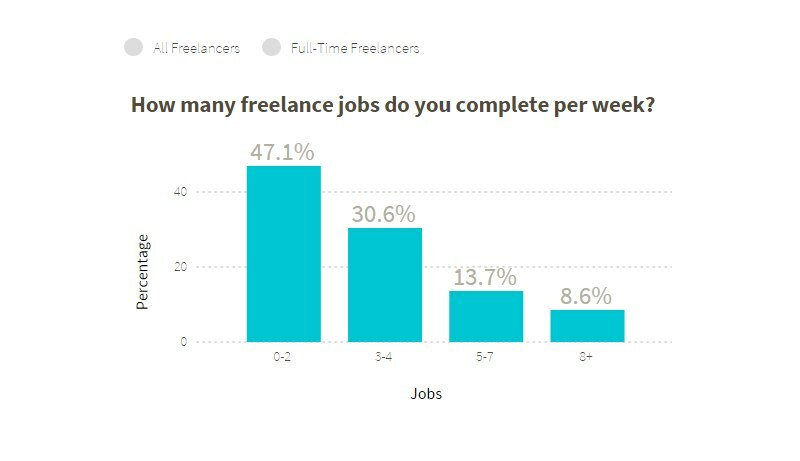 41% of freelancers only took on 2 jobs per week to make a living while working just about 10 hours a week. Making $20,000 a year may not seem like much, but take into consideration that some of these freelancers were still new in the field. And they were making more than their day jobs. A survey done by UpWork gave us enough proof of that. A quick Google search will show you enough results for freelancing success stories. One of the stories that I remember from a while back is a story from Medium written by a marketer named Robert Williams. His story made quite an impact on my personal career as well. Linda Formichelli is one of the many freelance copywriters who earns over $250 per hour. Her extensive article on CopyBlogger went viral back in 2014. In this article, she explained how she make $250 per hour for her freelance writing work. Imagine, if she works 10 hours a week at $250 an hour she makes $2500. Which totals up to a whopping $10,000 a month. Her best advice was to never quote an hourly rate, which makes sense because each person works differently. 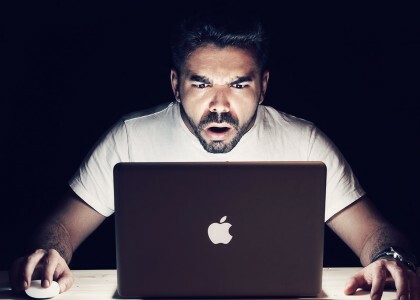 An excelled writer will write a 1000-word article in 2 hours when another take 2 days. In that case, charging $10 per hour would mean a huge loss. 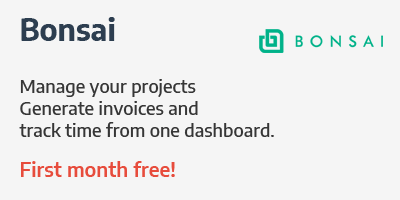 Charging per project is the ideal way to price your services. 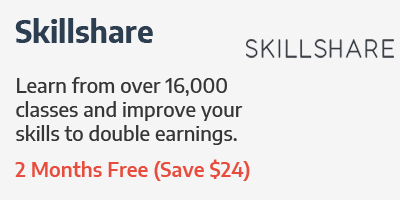 Jonathan Wold is another freelancer, like me, who make $5000+ a month building websites. In fact, he didn’t even do any hard-core coding work. He just built websites for companies using WordPress and making simple enhancements to pre-designed WP themes with web design knowledge. His advice was not to undervalue your services. 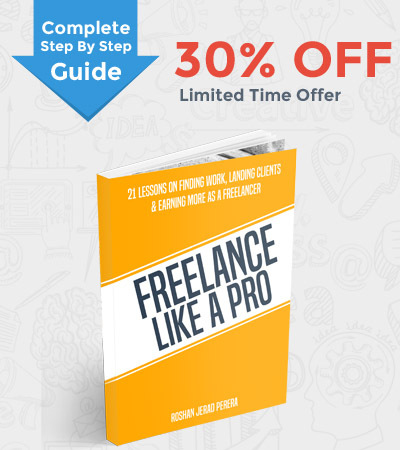 As I mentioned earlier, the amount of money you can make freelancing depends on your field and skills. For example, while some freelance writers make $10,000 a month, there are freelance programmers who make over $100,000. Here are stats posted by Elance for its 2013 year in review. 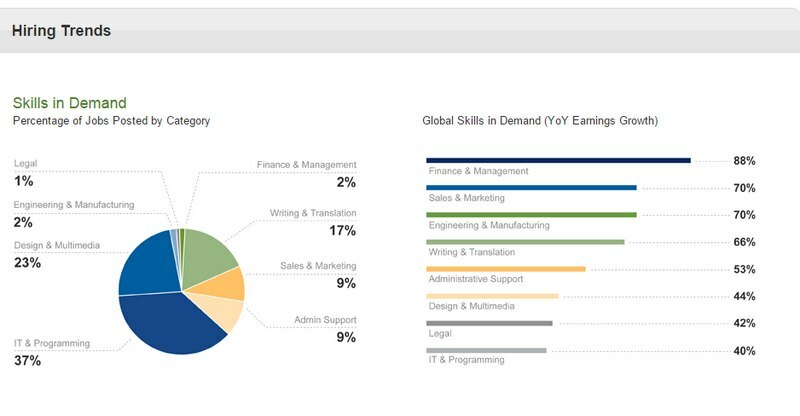 This shows the most demanded skills in the year 2013 with the percentage of jobs posted on the platform and the YoY earnings growth. UpWork’s Global Online Work Report in 2014 showed Customer Support, Social Media Optimization, Mobile Advertising, 3D Modeling, and Animation Data Science as the top 5 hottest skills in demand. Technology jobs, Admin Support, and Writing & Translation were also leading the broad categories. 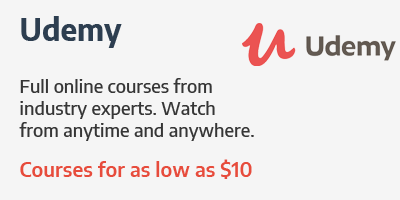 However, UpWork’s top 10 most in-demand skills of 2015 are slightly different. 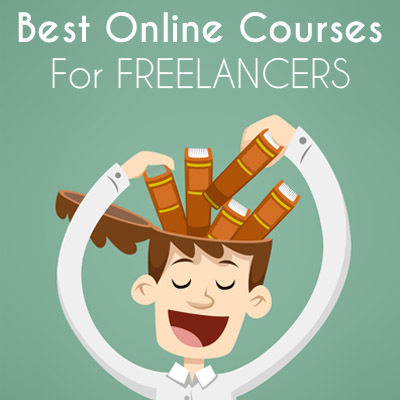 These charts and stats might help you figure out which skills have the most demand in the freelancing market and will give you an idea about where to start. 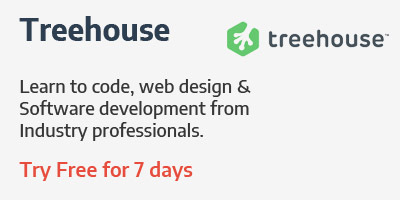 If you’re a programmer, there will be no doubt about a secured income in your freelance career. Writing and design aren’t too bad either. Then again, it all comes down to your experience, how you find leads, and your approach on jobs. By now, making $5000 a month may sound like a walk in the park, but it took me a lot of effort and hard earned experience to get here. In my first year, I made a little over $200 a month. But, I kept on learning and trying to better myself. And here I am today.